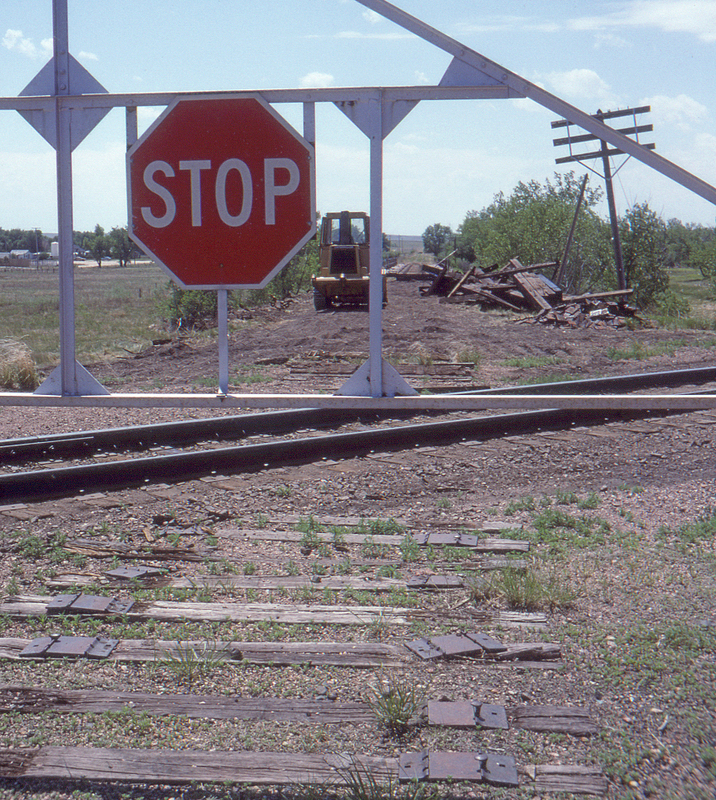 Limon, Colorado was the location where the Rock Island's Colorado Springs line crossed the Union Pacific's former Kansas Pacific line between Kansas City and Denver. The gate that protected the crossing is still in place, but the Rock Island from here to Colorado Springs is gone, its temporary reprieve as part of the Cadillac & Lake City Railroad no longer enough to save it. The former Rock Island main from here to Courtland and Concordia, Kansas is still operated by the Kyle Railroad, a Genesee & Wyoming subsidiary, but no longer goes as far as the UP diamond. The UP's Kansas Pacific rails, on the other hand, are busier than ever.